We are 100% Alabama Modern. In the heart of The Shoals, the flourishing Arts Center of Northern Alabama, and down the road from the Frank Lloyd Wright designed Rosenbaum House is a team of craftsman who love stretching their skills and artistry. For over 40 years we have been handcrafting heirloom pieces of furniture, fireplace mantels, solid wood planking, wall paneling and architectural moldings. While we began with wood and still love everything about Woodworking, soon our yearning for artistic expression took us into the mediums of Ornamental Plaster, Stone, Marble and Art Glass. 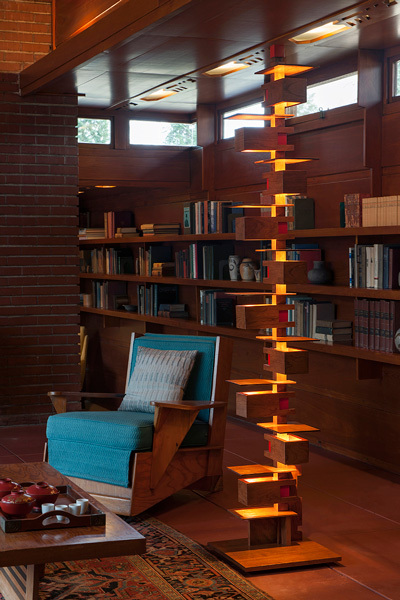 One day we decided to tackle a mysterious design we long admired, a lamp designed by Frank Lloyd Wright. Like many Wright designs, at first glance the lamp stood out for its simplicity and repose. The more time we spent with the lamp the more captivating and functional it became. We also began to understand the brilliance of the engineering and design involved. Mostly we were moved by the work of art itself -- a sculpture made from wood which day or night brought joy to all who saw it. Everyone who saw the lamp loved it and wanted one for themselves. 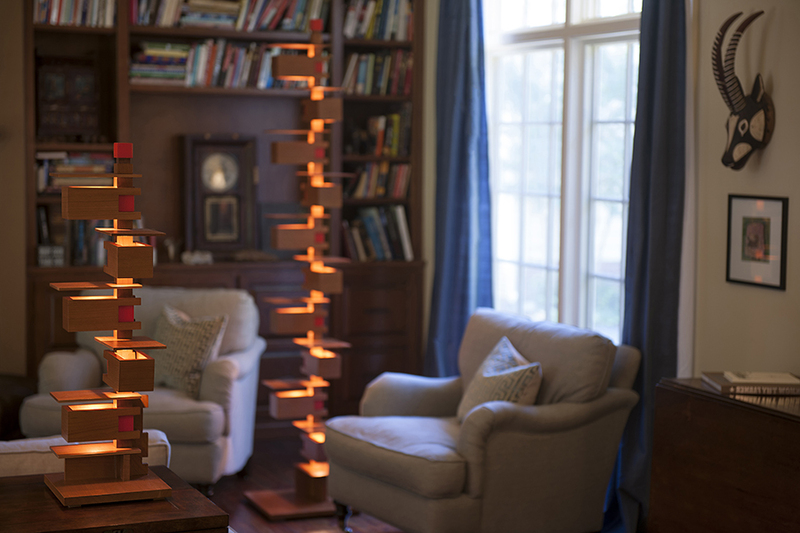 Because the design is the property of the Frank Lloyd Wright Foundation, we began the process to become an officially licensed manufacturer of the Frank Lloyd Wright Foundation. Because each Frank Lloyd Wright design has significant historical importance, the Foundation took the utmost care to ensure the accuracy of the design and the exceptional level of craftsmanship to faithfully handcraft the designs. All of the details were confirmed by the Archives department. Prototypes were made and made again. At each stage they were inspected by members of the Foundation for accuracy and quality. Accordingly, each piece that carries the Frank Lloyd Wright trademark provides the assurance that the designs have been meticulously handcrafted to reflect Mr. Wright's intentions and that they meet the standards that he himself would have demanded. We love the organic beauty of wood. We love applying all of our artistry to create a work of art. We love the clean timeless lines of Modern design. We love sharing and celebrating the beauty of Alabama Modern.